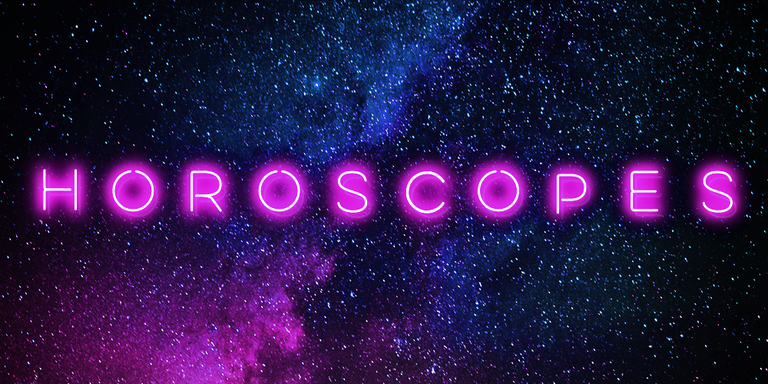 Your horoscope for the week of April 23. This week is full of possibilities. The cosmos will provide refuge, inspiration, and curiosity for all star lovers. The Mood Moon is moving into orbit, so get ready to feel all the moods. Let’s do this, Queens. Your success is reliant upon how thoughtfully you act. This week, the cosmos will encourage you to go deeper into your thoughts. Although this may be different for your fast tracked mind, you have to return to your calm state of mind. If you want to reach your most success, it is important to not skip any steps and take your time. The stars will be helping you. Weeks and weeks of rushing around have caused you to be full of stress. This week, self care is your only option. However, self care doesn’t encompass overindulging, it means taking care of your body. This includes eating healthy foods and drinks or going to the gym. You could also dance or go on a nice mountain hike. As you keep moving, your mind will become more calm. Have you had issues with obsession? Unfortunately, the stars are in alignment with your zone of obsession and there’s a big possibility that you’ll be focusing on the same situation you were obsessing over months ago. But, don’t just let this take you down, react! Instead of focusing on your pain, do something that makes you happy. Do something active that lets you free your mind of your obsession. The stars suggest you find lots of friends to distract you. Get on it! You often act without taking the time to think and watch. You always have a picture of how you want things to work out, but this week, put that picture aside and listen to other people. People may disagree or suggest different things, but don’t be scared! These different options and options may actually surprise you by working a lot better than what you’ve been doing. You always want to make other people feel better. Although this may be good sometimes, it has been taking away from having you time. It’s important this week to take a break from being the go to person and let people settle their issues on their own. If someone asks for help this week, politely say no. Instead, possibly hire an assistant of your own that will help with your stressful week. Put yourself before others for once! The cosmos are demanding you! This is the week to act with honesty, Virgo. Due to the moon’s alignment, telling the truth can transform relationships with both your friends and your hubby. Yes, it may be scary to confront, but ignoring the facts can lead to issues in your relationships. If you talk about your issues, it will become clear what your friend or lover will do for you. Make sure you go about it in a nice way though, you don’t want them to get the wrong idea! You have gotten into the habit of flying solo. Where’s your copilot, Libra? This week you will discover that working with others has amazing perks. Actually, getting people to do the work for you has even better perks. Lucky for you the stars have sent down a zenbot to be at your service. The zenbot will help you finish tasks, remind you to eat healthy foods, and essentially act as your personal guru. Look forward to a week off from chores and responsibilities, but don’t let this freedom go to your head. It is vital that you recognize, with the assistance of the zenbot, the importance of asking for help in your daily life. You’ve been in a bit of a rut creatively and emotionally. You recently completed a project or idea you’d been working on and now you’re bored. Good news, the cosmos heard your prayers for inspiration and they are sending an investment opportunity your way. Listen very carefully: when the UPS man comes to your door and asks you to sign for a package, be sure to do it. The stars are sending you a bengal tiger, do with it what you please. You could train him to be a therapy dog, teach him how to fetch, or enroll him in astronaut school so he can be the first tiger in space. Get ready to feel inspired, the opportunities are endless! Girl, we all know that you are the absolute WORST with directions. You’re always the friend that gets lost on the way to parties and arrives three hours later. But it’s okay, because this week your terrible navigating skills will prove to be an incredible blessing in disguise. You will take a wrong turn straight into paradise. Imagine white sand, glittered with shining seashells and lush palms, soft tumbling turquoise waves breaking beneath a warm yellow sun. Be sure to keep a bikini in your car at all times this week, you never know where you’ll end up! You are in desperate need of some Vitamin D. You’ve been trapped inside dealing with assignment after assignment and responsibility after responsibility. Take a break, girl! Go lay out in your yard or call up your besties for a relaxing trip to the beach. You’ll feel more confident with your sun kissed skin and be more equipped to take on the week. Feel the power of earth, sun, water, and stars and allow them to guide you through your week. Get ready for the time of your life Aquarius!! In the near future, you will be overwhelmed by multitudes of invitations from all of your friends. You’ll want to go to all of them, but you have to keep calm and keep your priorities straight. There’s no way you’ll have time to go to every one. In fact, you may have to commit to fewer activities. Recently, all the commitments have weighed you down, making you feel as if you have no control over you life. Prioritize girl! The comets are looking out for you and are on your side. Shine bright! Alright, Pisces, it is time to get your groove on. You will grow intellectually and emotionally this week. You will hatch up new, creative ideas that will help you with your studies and relationships. Also, your personality will flourish under the light of the Radiant Vibey Asteroid that is moving into circulation on Wednesday. This week, avoid being moody by channeling your negative vibes into activities, such as intense underwater boxing or running. We hope you have a comet catching, star staring, planet peering filled week!